The search for a missing journalist is called off as a body is found at the scene of a carefully staged murder. In a sealed chamber, deep in the heart of Gilmerton Cove, a mysterious network of caves and passages sprawling beneath Edinburgh, the victim has undergone a macabre ritual of purification. Inspector Tony McLean knew the dead man, and can't shake off the suspicion that there is far more to this case than meets the eye. The baffling lack of forensics at the crime scene seems impossible. But it is not the only thing about this case that McLean will find beyond belief. Teamed with the most unlikely and unwelcome of allies, he must track down a killer driven by the darkest compulsions, who will answer only to a higher power. This was a slow starter for me. 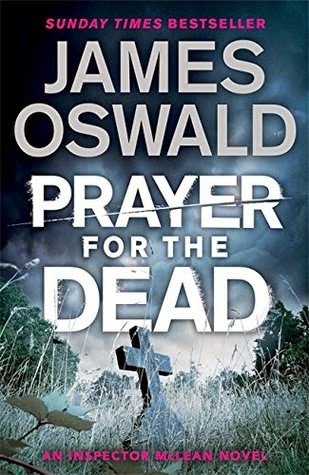 Based on the title and the first murder, I began to worry it would have some serious religious overtones ... which put me off. Also I was reminded what a struggle it is to read a thick hard cover book. They are heavy! Haha. But at some point, when I really gave it a chance, I was completely absorbed and in the end thoroughly enjoyed this story. I didn't guess whodunnit correctly, although there was a tie-in with a specific character I saw coming a mile off (I thought he'd done it). I also quite enjoyed the character of Inspector McLean so I will look out for more from this series in future.